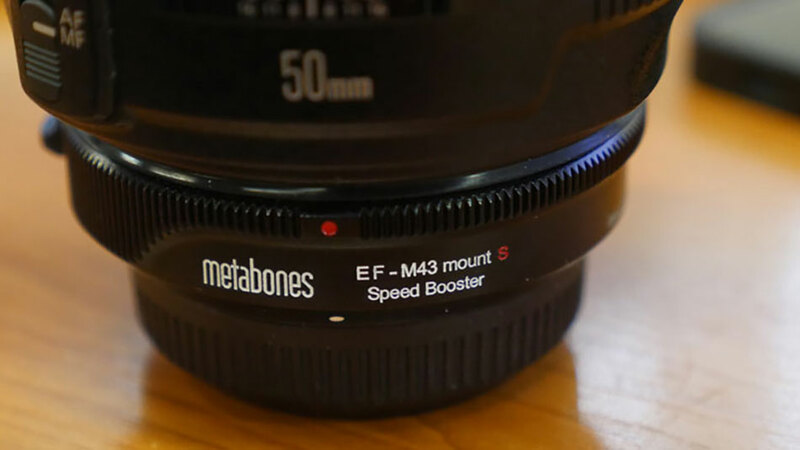 I have been waiting for the Metabones Speedbooster S – Canon EF to Micro Four Thirds to materialise and hit the shelves, there has been a lot of talk about its abilities. I didn’t pre-order the adapter, instead I waited before reading other reviews and hear peoples thoughts of the adapter. My first impressions are that Metabones and Caldwell Photographic have done an excellent job in keeping the image intact from warping or vignetting. Having fully moved from Canon camera bodies to the Panasonic GH series I have a collection of Canon lenses of which I have been unable to use to their full control. They work great on the GH3 with a manual adapter, but it does mean foregoing any camera control of aperture, image stabilisation and any form of auto-focusing. The Speedbooster fixes two out of these three features allowing the added ability to control aperture within the camera and detect image stabilisation (on lenses that offer image stabilisation). This is also achieved without the need of any external power, instead the adapter interprets and corrects the connections from the lens to the camera body. This was a deal breaker if I was to ever purchase this type of adapter. Sadly, we have no auto-focus of Canon lenses. 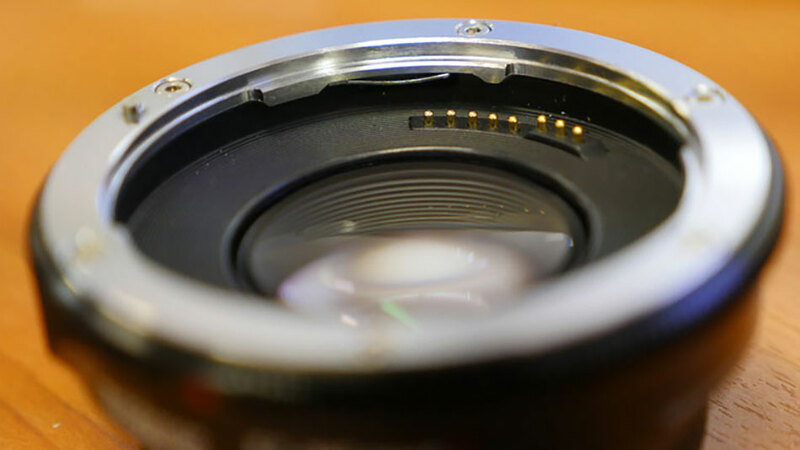 Metabones has managed to enable auto-focus on their Canon EF to Sony NEX adapter, so we can only hope that they find a way to enable this feature in a future version of the EF to M4/3 adapter. For the most part I manually focus anyway, you’ve got no choice to go manual and rack focus your subjects when using other brand lens options, but after using a couple of Panasonic lenses, most notably the 12-35mm f2.8 zoom lens, I have found the fast and accurate point focusing system to be very good. It doesn’t work while recording, only allowing you to touch focus before hitting the record button, but this feature is something I think will be the future of camera bodies and lens as touch and auto focusing features improve. The Metabones Speedbooster S optically changes your lenses field of view. The GH4 generally has a 2x crop factor, but when filming in 4k this reduces to a 2.3x crop. Suddenly your 24mm lens is closer to a field of view of a nifty fifty. This limits your options when wanting to shoot wide. The Speedbooster addresses some of that problem by distorting the glass optics to allow a wider 0.71x field of view. This effectively turns the GH4 into a S35 equivalent camera with Canon EF full frame glass. Overall I’ve been very happy with the Metabones Speedbooster S. I think now that someone has cracked most of the code to attach Canon lenses to M43 bodies other manufacturers will start to follow the trend.